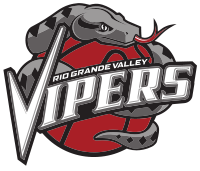 The RGV Vipers let a 13-point fourth-quarter lead slip away, as the Agua Caliente Clippers scored 37 points during the final period to pick up a 113-105 win over RGV on Thursday at Citizens Business Bank Arena in Ontario, California. The loss drops the Vipers (25-19) 2.5 games back of the Austin Spurs (27-16) in the Southwest Division, but RGV maintains a comfortable hold on a wild-card spot in the Western Conference with six games remaining. The Reno Bighorns (24-17) and Texas Legends (25-18) are also currently in wild-card position, with the Oklahoma City Blue (23-21) fighting for a spot. RGV led 93-80 with 8:50 to play on Thursday but was outscored 33-12 the rest of the way. Monte Morris, a Denver Nuggets two-way player who was reassigned to the Vipers on Wednesday, led RGV with 26 points on 10-of-19 shooting, plus eight assists. Julien Lewis scored 18 points with seven rebounds, Tony Wroten and Chris Walker each netted 14 points, and Shane Richards scored 13. Houston Rockets assignment player Chinanu Onuaku paced the Vipers with 12 rebounds. LaDontae Henton scored 21 points off the bench to lead Agua Caliente. Tyrone Wallace added 19 points, seven rebounds, six assists and four steals. The Vipers led 27-24 after a seesaw opening quarter, and the Clippers took a 56-49 lead into halftime behind a late 8-0 run. RGV scored the first seven points of the second half to draw even, then used a 6-0 burst to pull ahead. The Vipers led by as many as 13 in the third quarter before carrying an 84-76 advantage into the final period. RGV used a 9-2 run to match its largest lead of the night at 13 before Agua Caliente began its comeback. The Vipers return to action on the road at 9 p.m. Saturday at the South Bay Lakers.